There is a saying, “You can not take people where you have not been.” In order to lead a team and leader must be committed to personal growth. If a new leader wishes to maintain the altitude at which he or she is flying he or she must be committed to growing. Through the leader’s own personal growth he or she is able to add value to the whole team including the organization he or she works in. Leaders, whether they are new or old, must be committed to personal growth. A leader who is committed to personal growth can and will add tremendous value to the lives of those he or she leads. Not only does the leader add value to the team he or she is leading but also to the organization he or she is a part of. Reading books, attending seminars, finding mentors, and building a library are all ways for leaders to stimulate personal growth. No one just walks in and has all of the tools they will ever need to lead successfully. Many of the tools that a leader needs must be discovered. Personal growth requires the leader to pay a price. The price is paid through money, time, and effort given to grow. A leader can not expect his or her team to be committed to personal growth if he or she is not. A team’ s direction can be heavily swayed by the leaders commitment to personal growth. Maintaining altitude can be achieved by reading, attending seminars, attending conferences, finding mentors, and mentoring. This is not an exhaustive list there are additional ways to maintain altitude. 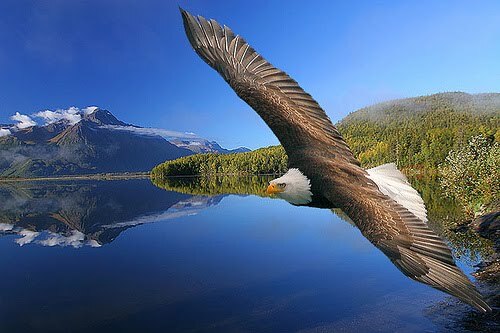 A new leader must find or create ways to soar at his or her current altitude so that eventually he or she can go higher. A leader should not ask his or her team to do something he or she has not done. A leader can not ask his or her to go someplace he or she has never been. Encouraging a team seek personal growth and then not modeling how to grow personally is ridiculous. It is the old “do as I say not as I do” mentality. If a leader wishes to maintain his or her current altitude then he or she will have a personal commitment to personal growth. Leaders who wish to take their teams to higher degrees of success to invest in their team and in themselves. Through the leader’s commitment he or she adds tremendous value to the team. The addition of value does not stop there it extends to the whole organization and everyone the leader comes in contact with. A friend of the author’s was once sharing a story about his father. He said that one of the things that challenged him the most is when he was dropping his sixty plus year old father at the airport in his father’s car. After he had dropped his father off he said he reached into the center console to find something to listen to and he discovered a tape series on being a better communicator. Here was a sixty plus year old man with over thirty years experience as a communicator still committed to personal growth. The gentleman then shared how he had made a commitment to grow himself stating, “If this great man is still seeking to grow I must.” A mistake a new leader or seasoned leader can make is that they know it all or have no need or time for a personal commitment to growth. One’s own personal value is increased through a commitment to personal growth. Gaining additional training and knowledge only adds value to the person and the person’s team and ultimately the organization. The leader gains value and betters themselves and through the bettering of one’s self the team gains value and the organization or team universal is better. Every person who comes in contact with the leader committed to personal growth has the opportunity to grow as well. The author has heard it said, “Everyone can learn from anyone if they desire to.” A leader, new or seasoned, should strive to be an expert in their area of responsibility. A commitment to personal growth is vital to the life and longevity of any and all leaders. A leader is either growing and advancing or shrinking and retreating. In a world filled with multiple avenues to increase value through education a leader would be in error not to seek to add value to self and team. Reading books on a variety of subjects or in the area a leader is most passionate about can stimulate personal growth and increase one’s value to the team and organization. The author has been committed to reading books on a variety of subjects for many years now. The wealth of knowledge that has been gained through reading has increased both perceived value and true value in three different team and organizations. Attending seminars is a wonderful way for a leader to get away for a half a day, full day, or a few days and focus on personal growth. Attending seminars gives the leader a chance to learn and grow in both a lecture and interactive setting. Seminars on leadership, team building, finances, management, relationship building, and the list goes on and on. Seminars can challenge inspire and give practical application ideas for all leaders. One outstanding way to commitment to personal growth is to seek out a mentor or a number of mentors. This gives the leader a chance to learn from the experience of men and women who have been or are where the leader wishes to be. Finding mentors is not easy but it is worth the time and effort. Mentors can hold one to a higher standard than one may expect. A friend of the author shared a captivating thought he learned from his mentor.His mentor told him, “You don’t get what you EXPECT you get what you INSPECT.” A leader willing to put him or herself up for inspection is definitely committed to personal growth. The price to maintain altitude is paid through blood, sweat, and tears. A leader maintains altitude by investing time, money, and effort to personal growth. Blood represents life. Giving one’s life to personal growth is a price that many are not willing to pay but it is a necessary part of being in leadership. A leader’s life must be given to growth. The reward for a life given to growth is the right to lead others. Sweat represents the fulfilling of a leader’s purpose. Leaders are built not born. While some are born with all the tools it takes to be a leader it does not make them a leader. Leaders are built as they seek to fulfill their purpose in this life. Some never fulfill their purpose because they are afraid to pour out the sweat and discover then fulfill that purpose. Tears represent the effort a leader gives to see him or herself, their team, and organization grow.There is no substitute for effort. You can put a person in a leadership role but they still have to lead. If the effort to lead is not put forth the person and the team will ultimately fail. So maintaining altitude requires a leader’s blood, sweat, and tears.A commitment to personal growth requires an leader’s life, purpose, and effort. The direction of a team is heavily swayed by the leader’s commitment to personal growth. If the leader if committed to personal growth and leads by example his or her team will follow. A leader can not ask a team to be committed to personal growth while he or she is not. A leader can heavily sway the direction of his or her team by supplying books, seminars, and mentors for his team members and organization. Bringing in a skilled person to offer training and instruction for a team is a wonderful way of adding value to the team. A new leader and the seasoned leader must constantly seek out new ways for him or herself and the team to soar. Maintaining altitude for an extended period of time will eventually lend itself to gaining altitude. The leader holds sway over both his or her and the teams ability to maintain and gain altitude. I would not trade my college education for anything. It was a tremendous time of growth and discovery. However, my education did not end with a degree hanging on my wall. It was the beginning of a life and study and growth. As a leader I have a responsibility to myself, my team, and my organization to grow. I have made it a life mission to study books, go to seminars, listen to CD’s and podcasts , take courses, that will stimulate personal growth. When I was fresh and new to my field I made it a priority to go to seminars to gain knowledge and ideas. I made calls to successful people in my field and visited different organizations to gain personal growth. On one occasion I was at a conference for leaders and I had a life changing moment. I will never forget that day. It was the day I realized that no one is going to educate me I must take responsibility to educate myself. I could no longer count on my organization or leaders to grow me I had to grow myself. I hated reading because I had always read for the wrong reasons. When I started reading to gain personal growth and add value to my life I start reading constantly. Reading became a way for me to grow and when I started seeing results because I my commitment to personal growth I never looked back. I started giving the books that I had finished reading to other leaders and those I was mentoring. To this day if I read something that speaks to my life I quickly refer the book, tape, seminar, or tool to those around me. If I commit myself to personal growth I can hold my team members and leaders to the standard that I set. I will only take people as far as I am willing to go myself. Proverbs 25:4 [MSG] Remove impurities from the silver and the silversmith can craft a fine chalice; Remove the wicked from leadership and authority will be credible and God-honoring. The first thing that must be done before one can deal with a turkey is to define what a turkey is so that they can be identified. A “turkey” is a member of a team or organization who has his or her own agenda. “Turkey’s” are great at politics. They know what to say and when to say it. The author likes to call them “word smith’s” because they can take words, whether it be yours or theirs and twist them to benefit themselves. Turkeys are also masters at covering their ineptitude. In short, turkeys are the team breakers rather than team members. They are team members who have a position but not a passion. You have heard it said that “eagles don’t flock”, well turkeys do! 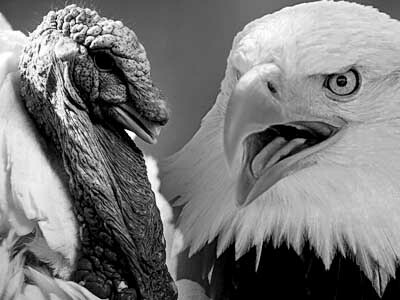 Dealing with the turkeys within a team or organization can be extremely tricky. If they have the favor or ear of the head leader a new leader must walk cautiously and carefully when dealing with them. Turkeys will not be hard to find for new leaders because they are insecure and normally they will make themselves known through their actions toward the new team member. Turkeysseem to always be striving to make life for a new leader difficult. If the new leader is confident, consistent, and committed and begins to get noticed for his or her successes he or she must be careful to watch their backs. The new leader must use their words and actions with great wisdom. Turkeys with a certain amount of “pull” or “power” or resources can make life miserable for new leaders trying to fulfill their purpose. A new leader must not be afraid to confront the turkey and stand up for what he or she is trying to get done. An effective way of dealing with a turkey is to let one’s work and success speak for itself. No one can argue with success! The key to dealing with turkeys is to know what a turkey is. One can not deal with someone or something if that someone or something can not be identified. It is easy to identify a turkey because they have their own agendas. Usually they try and mask their agenda with words but their actions reveal the truth. Turkey’s are excellent politicians. They are full of false concern and they use that to gain information. They always seem to be where the head leader is and they always seem to be in his or her ear. Turkeys have a position but they do not have the passion or drive to fulfill the purpose of that position so they use words to cover ineptitude. They have the uncanny ability to use words to accomplish their agenda. In the book of Esther in the Bible there is a story of a man named Haman. He is a perfect example of a turkey. He used the king’s own words to have a whole people group exterminated. When the king finally discovered the plot because his queen, Esther, was a member of the people group condemned to die. He had Haman executed by the very words he used to try and destroy a whole people group.Just as Haman used words to fool the king turkeys use words to influence the head leader. The most alarming issue is that they can your words or their words and use them to gain leverage and benefit themselves. Words are powerful so a new leader should use them ever so carefully when dealing with the turkey or turkeys on a team or in an organization. Many times the turkey has gotten to the place he or she has by using words to convince the head leader he or she is capable and possesses the abilities needed to fulfill the purpose. Other times the turkey has been put in the position due to the “principle of princes” or length of service in an organization. No matter how they got their they are masters at covering their own ineptitude. The glaring reality of this is felt when other members of the team are relying on the turkey to help them “tow the line” and accomplish the purpose the organization has been created to accomplish. The challenge comes when the turkey continuously “drops the ball” and leaves the new leader or other team members “holding the bag”. It is in those times they use words or actions to cover their ineptitude. Dishonesty and deceptive practices are tool used by these turkeys. We have all heard that “eagles don’t flock” well turkeys do. They usually seem to flock the head leader. The heaviest challenge for a new leader comes when the turkey has the ear and the favor of the head leader. It is at this time the new leader must walk cautiously because he or she could be in grave danger. When a turkey has flocked with the head leader and he or she has gained favor the turkey will make sure the new leader understands the power that they wield. It is a defense mechanism Used by the turkey to keep new leaders and other team members at bay. Flocking close to the head leader provides protection for the turkey to cover ineptitude and it provides safety from the criticism of other team members.Turkeys are normally very insecure and they will attack the new leader or team member as a way of gaining self-assurance. They also attack the new team member if the head leader is paying particular attention to him or her. This is the best time for a new leader to establish themselves with the head leader by not attacking the turkey but letting the turkey hurt themselves. Turkeys do their best to make the lives of new leaders difficult. When a new leader comes in and is well liked by other team members the turkey will see that as a threat to their security. It is in these times that the new leader must be extra careful with words and actions. If a new leader comes in and begins to build success after success and the head eagle notices the efforts of the new leader the turkey can become jealous and launch an attack against the new leader. Jealously is an ugly thing and it can cause a lot of strife within a team. It can also be used by the turkey to cause times of trouble among team members. The new leader who works hard and gets results will be the target of any turkey within and organization. The turkey sees that as an attempt to take his or her place in the flock. The turkey also sees the new leader as a threat because their results based success will eventually reveal the ineptitude of the turkey. Jealous turkeys are even more dangerous than happy turkeys. Turkey’s with a certain amount of “pull”, “power” , or resources can make miserable for a new leader trying to fulfill his or her purpose. The head leader feels he or she can trust the turkey and the turkey is very careful to keep his or her agenda hidden from the head leader. The turkey will use his or her “pull” with the head leader to keep the new leader from being as successful as he or she can be. It is in those times that the new leader must be committed to his or her purpose and team. He or she must seek out the head leader and negate the “pull” of the turkey by sharing his or her purpose with the head leader and explaining the benefits for the organization a whole. The turkey will use his or her “power” to dishearten the new leader and cause ineffectiveness. The author has suffered at the hands of a turkey so he knows first hand what it means to be disheartened. One particular time the author was in need of equipment to fulfill a purpose and enhance the success of members of his team and the turkey told him, “You really don’t need that stuff to be successful. You just want that stuff. They did not need it in the old days and they don’t need it now.” Then the turkey proceeded to lose the purchase orders for over six months. The head leader never once questioned why the author was silent. Many months later the head leader called the author into the office and apologized for losing the purchase orders and the author finally received the much needed equipment. That equipment was helpful in making the author’s team successful. It also boosted the moral of the team members. Resources are vital to the success of a new leader. He or she must be committed to battling the turkeys to get the tools needed to accomplish the task and fulfill the purpose he or she was called upon to accomplish. A new leader must not be afraid to stand up to the turkey and fight for what he or she needs to be successful. The use of wisdom and words are key to the successful battle against the turkey. Never fight behind closed doors where words can be used against you later. Make the battle known to the head leader. Communicate openly the concerns and challenges that are being faced. If the head leader does not know about the opposition the new leader is facing he or she can not help settle the issue. The best way for a new leader to silence a turkey is to let his or her work and success speak for itself. No one can argue with results. Results also allow the new leader to stand up and fight. When the new leader’s performance outweighs the performance of the turkey the head leader must see the value he or she has brought to the team and the organization. Turkeys are not in every organization and on every team but if your team has one and you are a new leader or team member it won’t be long before you know you have one. A new leader should seek to create success and deal with the turkeys upfront. Don’t do what the author did and wait until the lid blows off. Deal with the issue and fight fair.Let the merit of the work produced be the platform that facilitates dealing with the turkeys. If there is one thing this author hates it is turkeys. I do not hate any person I just hate their methods. In my life time I have allowed turkeys to get the best of me. Then I learned how to deal with them. I learned to keep my mouth shut and let my work speak for itself. I also learned that by keeping my mouth shut their glaring imperfections and methods were brought to light. In the beginning I would kick, scratch, claw, and fight with turkeys. I would attack when attack and it always seemed like I was the one with the bad attitude. You see turkeys have the uncanny ability to fire you up at just the right times. It seemed like right in the middle of my ranting this particular turkey would be sitting there enjoying himself as he watched me make a fool of myself. That is when the light went on! I determined no matter what he would do I would keep my cool and let his work speak for himself. It was not long before he was in the hot seat because of his inabilities. It would drive him crazy he would do all kinds of things to get under my skin. I would just let my work respond for me. After a while the turkey left me alone because he had to get to work. You see I was facilitating his ineptitude by covering it up with my ranting and raving. I still have to watch myself and sometimes I slip. But for the most part I allow the turkey to cook himself. Since I learned my lesson Thanksgiving is a lot more fun. Psalm 51:15-19 (ESV) 15 O Lord, open my lips, and my mouth will declare your praise. 16 For you will not delight in sacrifice, or I would give it; you will not be pleased with a burnt offering. 17The sacrifices of God are a broken spirit; a broken and contrite heart, O God, you will not despise. 18 Do good to Zion in your good pleasure; build up the walls of Jerusalem; 19 then will you delight in right sacrifices, in burnt offerings and whole burnt offerings; then bulls will be offered on your altar. We are coming off an incredible weekend at City on a Hill Church. It was our special Blessing Service where we bless and anoint our children, youth, college students of all ages, teachers, educators, faculty, staff, and schools as they begin the new school year. We seek God asking for favor, protection, and blessing over each of their lives and agree to pray, love, and support them. Needless to say it was just awesome. Glory to God! But something amazing happened even before that service in our Servant’s Service. We had a sovereign move of God and a genuine call to repentance and prayer by the Holy Spirit. The enemy was hard after us with a flat tire on the trailer and band members held up in travel but we pressed on because I knew God had something to say to us as a people. In the past few weeks we have dealt with multiple interpersonal relational attacks. We had to call those things out and take a good hard long look at scripture (James 4:1-12, 2 Cor 11, and Psalm 51). This service is a critical time in the life of our church. It is a time where our front lines we connect with God on a personal and corporate level and stay connected to the Church’s vision, mission, and purpose. I attribute much of our church’s health, growth, and strength to the work that God does in these services every Sunday. Fifteen months ago we planted City on a Hill Church and we decided before we even opened our doors that we would not build on church on the backs of volunteers rather we would build it side by side together with the Master Builder and only Church Growth expert I know, Jesus Christ. Anyone who would tell you church planting is easy is not telling the truth.Anyone who tells you ministry is easy is not telling the truth. Both are extremely difficult and require God’s grace in heaping helpings. Not only do they require God’s grace but they also require those involved to extend and receive grace. We can not expect grace if we do not express grace. Church planting is made even more difficult when you are in a rented facility because it requires weekly tear down and weekly set up. Please understand I know buildings come with their own troubles especially a financial burden that taxes the people. However, without access to a facility practices have to be held off campus, storage is a huge concern, wear and tear on equipment is extensive, and wear and tear on our teams is equally extensive. All of these factors can create issues among team members ultimately we are family members, God’s family. As a pastor/shepherd I strive to keep a close eye on the flock that God has appointed me as overseer over (Acts20:28).When conflict arises, and it does and always will, we must be ready to deal with it extend and express grace and move forward so that God’s ultimate purpose, the preaching of the Gospel and salvation to our city, is accomplished. We have a cunning enemy that seeks to destroy the unity of the church so that we take our eyes off Jesus and our focus off the ministry and mission He has called us to. If we aren’t careful we can become hard hearted and ministry just becomes a heartless endeavor until we die on the vine. Some indicators that this is happening is a sharp tongue toward others and a critical spirit toward others and the church. Passion leaves and frustration enters. Psalm 51 illustrates this when the Psalmist says to do not delight in sacrifices or I would give them to you, you do not delight in burnt offerings or I would offer them. Ministry becomes nothing more than an empty act and burnt offerings become burn out when we are disconnected from the Savior. The Psalmist goes on to teach us that a broken spirit and a contrite heart God will not despise. Ministry is tough and it will break us and burn us if we are not careful. Then we are left to wander outside God’s grace with a hard heart toward God, His Bride the Church, and our brothers and sisters in Christ. We must turn to Jesus in these tough times. Rather than lash out at our brothers and sisters in frustration we must pray for them, extend grace to them, and express grace. If we come to God with a broken spirit and a contrite heart we have a promise we will not be despised. He is more interested in us than what we can do for Him. He is more interested in our hearts than empty lifeless ritual and service. We see the results in this Psalm it says the Lord will do good in Zion and build up the walls of Jerusalem. God says if you come to me with a broken spirit and a contrite heart I will delight in your sacrifices. He says if we put down our self -righteousness and replace it with self-examination He will do in us what is necessary to make those sacrifices acceptable and holy. If we lay down our offense and pick up grace we can and will heal us and make things right. If we repent of our actions first (James 4:1-12) then He can do in the work in us, in others, and in our church. Holding our ministry hostage does not only hurt us it hurts the advancement of the Gospel, it hurts the Church, it hurts individuals, and ultimately we lose and the enemy of our soul wins through disqualification. Not His disqualification, but ours. We disqualify ourselves take our ball and go home. Earlier in the Psalm we see the recipe for repentance vs 1 God’s mercy, God’s unfailing love, and God’s cleansing power.Vs 2 Our broken and contrite heart that reveals our desperate need for God’s forgiveness, our broken spirit vs 11 and 12.Brothers and sisters this is where we must live if we want to see God’s kingdom come in our lives, families, churches, and ministries. We can no longer offer empty sacrifices and burnt offerings. If we want our ministry to be effective it is birthed out of a broken spirit and a contrite heart that fully recognizes we live and breathe according to God’s grace. It is our total dependence on God, the righteousness of Christ, the love of God, and the grace of God that makes our ministry a right sacrifice. If we are going to live and move into all that God has for us it will be by grace. God’s grace! If we expect grace we must express grace. I appeal to all of my faithful ministry leaders and team members of COAH. I love you all dearly and remember you in my prayers daily. Please treat one another with grace. Measure your words. Check your hearts and motives. Don’t compare anyone’s commitment to yours rather you compare yourself to Christ and see how you measure up then deal with each other. The souls of men and women in the balance. The life of COAH hangs in the balance. Offer right sacrifices not because of what you do but because of WHOSE you are. Never forget where you came from so you don’t end up back there. God has given us to each other as grace gifts. He has given City on a Hill Church to St. Petersburg, FL as a grace gift.Together with Jesus through the power of the Holy Spirit we can and will change our world to the glory of God! Yesterday we truly had an amazing God ordained visitation. I could see the Holy Spirit bringing gentle correction and rebuke convicting us and spurring us on toward the mission God has called us too. For those reading this blog today in desperate need of God’s grace I encourage you. Read Psalm 139 and do an self-examination of the heart. Ask the Holy Spirit to reveal truth in your soul. Repent of wrong actions, forgive those who have sinned against you, extend grace to others, express grace when asked to, and live the life God has called you too. Offer yourselves first to God then your service will be acceptable. Proverbs 14:28 (MSG) The mark of a good leader is loyal followers; leadership is nothing without a following. Now that the passion, vision, and purpose has been established it is time for the new leader to get down to the business he or she was called upon to accomplish. Building a team is the first step to leading a team. If there is no team to lead then the leader is only leading his or her self. It is now time to begin prospecting. Prospecting for paid staff within a business paradigm and prospecting for volunteers within a non-profit paradigm really is not that different. People are looking for something to give their lives to. Within a business paradigm people still want to make their lives count it is just that they get paid a salary . Within a non-profit organization people are looking to make their lives count through acts of service that will live on longer than they will. Either way the new leader building a team must look for people who want to do something bigger than they are. One of the greatest resources and assets a new leader must not overlook is current team members if there was a leader before them. These people obviously bought into the purpose for their team’s existence. Invitations to the team to join the new leaders team are very important. It communicates that no one is assuming that they will serve as a member of the team and it also places communicates value to current team members. It is truly exciting for a new leader when his or her team begins to take shape. When people begin to buy in to the passion, vision, and purpose being shared with them. After people have bought into the new leader’s vision it is time to lead! Leading a team is more than giving orders or casting a vision it is investing in the lives of others. Leading a team means winning and losing together.Leading team means taking a the whole to a higher level than they have ever gone before. Leading a team effectively and skillfully takes time and effort. No one just walks in and leads a team without paying a price. The new leader was brought in to build and lead a team to accomplish a task and purpose. Once the team is assembled and functioning the leader must focus communicating and monitoring the team’s direction. Making sure that everyone on the team is heading in the right direction will help the team hits it’s target. The team’s direction is critical to it’s success. If a team gets misdirected it will spell disaster for everyone on the team and possibly for the organization. Building a team is the first step in order for a new leader to lead a team. It may sound obvious but many leaders forget they must have a team to lead a team. As soon as a new leader accepts a position he or she should begin preparing to build a team. Prospecting is term used that leaders use when looking for people or staff of join their team. Prospects for the team may already be there and many times a new leader must begin to look for new prospects by advertising or word of mouth.Prospecting for paid staff positions within the business paradigm is really not that different from prospecting Not that different from prospecting for people within the non-profit organization. In the business paradigm and in the non-profit paradigm a few truths remains. Those truths are that people are looking for something to give their lives to. People are looking to make their lives count for something. People are looking to be a part of something bigger than they are and something that will outlast them. The difference is that in the business paradigm they get paid a salary for their services and in the non-profit paradigm they volunteer their services. Whether a new leader is building a business or non-profit team the fact is that people in both arenas want to get on board a team with a passion, vision, purpose and direction. It is the new leader’s responsibility to communicate the above mentioned issues. It is not hard to lead a team of people who feel like they are fulfilling their life’s purpose. When seeking to build his or her team the new leader must be careful not to look beyond the people that are already serving within the organization and specific team. Just because the team members have served the leader prior to the new leader should not eliminate them from joining the new team and getting on board with the new leader. Those people obviously are serving the team and organization for some reason. They must have bought into the purpose for their team’s existence. If a new leader denies current team members from serving on his or her newly formed team he or she does themselves a disservice and the team members a huge disservice. If a sure foundation has already been poured why Not build upon it? Some of the most insightful and vital people could be waiting to be invited to get on board. By inviting current team members to join the team being formed by the new leader are a must. This communicates a few very important points. Invitations communicate that you are not assuming current members will just get onboard no questions asked. It also communicates that the new leader values current team members. And lastly, it allows current team members who served the former leader and team a gracious way to bow out. There is no shame brought upon the current members who do not wish to serve with the new leader and the new leader does not lose momentum by having a members or members bail on them. It is truly an exciting experience to see a new team begin to take shape. There is nothing like building a team of people who buy into the passion, vision, purpose, and direction of a new leader’s team. Through prospecting and invitations the new leader can begin to see just how great his or her team can be. Once he or she has filled key positions on his or her team with people who have shown a commitment to the success of the team and the organization it is time to lead. Now that the team has begun to take shape and the team members have bought into the vision it is time to lead. Leading is more than giving orders or casting visions. It is investing in the lives of others. Leading is best when one leads by example. Leading means winning together. When the team has a Small or large success the whole team should celebrate together. The leader must be careful not to get caught up in the moment and forget without the team the success would not have come. The author once spent six months training a leadership team of ten people to open a taekwondo school. The group was formed and began to train in January. After the first three months the team was down to six committed individuals. When the school opened in June the first night they had over seventy people. Following the night of classes the author gathered his team together and reminded them that without their commitment the last six months the opening night would not have never happened. The author had two successful years as the Senior Instructor of the taekwondo school and when he departed the leadership team he had built continued the school with great success. The author made it a point to celebrate every success whether small or large with the entire team. Leading during great times of success is not as tough as leading during challenging times. Losing together is just as important as winning together. The leader should not have to shoulder the whole responsibility for losing. It takes a team to win and a team to lose. While losing is no fun it can be a very valuable learning tool. If the leader does not allow the team to feel the sting of losing the team will not learn the lessons that come with losing. Losing can yield some very valuable insights to future success. To shield a team from losing is not to prepare the team for life. Leading means winning and losing together. Leaders are to do one thing while winning or losing they are to lead. Once the team is assembled, functioning, and all its members are on the same page in terms of personal growth a leader must monitor direction. It is the leader’s responsibility to make sure that all of the team’s members are heading in the right direction and focused on the same target. Making sure that every member is on the same path and following the same direction is critical to the success of the team and its leaders. If a team gets misdirected it could spell disaster for the team and leader. A leader must be careful to monitor each move the team makes to ensure success. The way that a leader can monitor direction is by open communication with his or her team. Through clear and concise recasting of passion, vision, purpose, and direction a leader can assess that his or her team members are on the same page. It is also a good idea for the leader to request feedback from his or her team members concerning the direction of the team. By simply asking the team members to communicate what they feel is their purpose within the team the leader can assess if the team has the same direction or if some of its members have gotten off course. One team member who has gotten off course and lost direction can effect the whole team. If a leader suspects that a team member has lost his or her way he or she should do their best to redirect the team member toward the purpose, goals, and targets predetermined. Leading a team and maintaining the teams’ direction is not easy. Leading a team and maintaining its direction within a larger organization is even harder. Hard or easy a leader must lead! In North Carolina I was preparing to open a non-profit taekwondo school. I had joined a new organization and I took the first six months to establish teams to fulfill the purpose I was brought into the organization for. I have a passion for the martial arts and I love to teach. So many martial arts schools charge such a high cost that it is not affordable for families to practice together. So I decided I would open a school at my local church. Step one was to find people willing to volunteer their time for free training in return. Once I found the ten candidates I was looking for it was time to train them. This group of ten people would be my leadership team. Not only did I train them in martial arts but I also trained them in business practices, people skills, and public speaking. After six months of intense training we opened our school with tremendous success. However, that was just the beginning. Opening was the beginning staying open and successful was the challenge. I lost four of the ten original leaders and they had to be replaced. My team had to continue receiving private training and we had to recruit new leaders replace those that were lost. We remained successful because we were committed to training, leading, and recruiting. My team received regular evaluations and our school received regular evaluations from outsiders and insiders. We built a strong organization by building on what we had and investing in our own. I later left that school in the capable hands of my leadership team. We repeated this same process with even greater success in Florida within five years of opening we won the USCDKA Florida State Championships and Southeast Regional Championships. Its remains a successful model because we remain true to what we learned and were taught. Quality leadership development boils down to the I.C.N.U. (I see in you) principle. We build teams based upon what we see in others and we help them discover their gifts and talents and then put them into practice. 1 Samuel 18:5 [MSG] Whatever Saul gave David to do, he did it and did it well. So well that Saul put him in charge of his military operations. Everybody, both the people in general and Saul’s servants, approved of and admired David’s leadership. When a new leader is brought into an organization he or she was brought in by the leadership for a specific purpose. No one gets into an organization without the head leaders approval. There is always a reason for adding someone to a team.There is always a reason when the team expands. The new leader must be very careful not to make the mistake of misunderstanding his or her purpose in the organization. The passion, vision, and purpose of the new leader must line up with the passion, vision, and purpose of the organization. The reason they were brought in was to help the organization fulfill the purpose specifically assigned to them. The first thing a new leader should do is survey the landscape. Surveying the landscape will allow the new leader to determine the pecking order within the organization. There is always a pecking order. Sometimes the pecking order is determined by the length of service and others it is determined by contributions to the organization. Now that the new leader has carved out the air space and established the air space now they must begin to fulfill the purpose they were brought in for. Hopefully the head leader has given a specific list of expectations and tasks for the new leader to follow through on. This is not always the case. Many times a new leader is brought in to a new position or follows an older team member that was not getting the purpose fulfilled. To get a clear understanding of position within the team it is suggested that the new leader approach the head leader and ask for a clear directive and purpose. The new leader is not brought onto the team by chance. He or she has been brought onto the team for a specific reason and purpose. Before that new leader was selected the head leader has already seen a need and purpose to add a new team member to the team. No one just gets a free ticket into the organization. Actually there are cases where privilege places someone in a leadership position within the team. The author calls this the “principle of princes”. The “principle of princes” defined simply means the head leader has a relative that they give a position to, not based on performance but by preference. With the exception to the “principle of princes” no unrelated new leader is brought without a specific set of expectations. There is always a reason when the team expands. The head leader will usually have a set of responsibilities that he or she will expect the new leader to accomplish. It is vital that the new leader stay focused on these responsibilities and fulfill the purpose he or she has been called to accomplish before he or she deviates. One of the biggest mistakes a new leader can do when joining the organization is to misunderstand the purpose he or she has been called to accomplish and step on other team members toes. The passion, vision, and purpose of the new leader must line up with the passion, vision, and purpose of the organization. The head leader has a vision and purpose for the team and organization. He or she must trust the new leader to match the vision for the team and organization. This can only be done when the new leader understands his or her position within the organization. The key to understanding is open communication. If the new leader has questions they should ask them. If the new leader is unclear of the position and purpose they are called to fulfill they should ask for clarity. The goal is to accomplish the task that has been entrusted to them for the benefit of the team. By understanding position and purpose the new leader can soar. The first thing that should be done when any new leader arrives in a new team is to survey the landscape. Surveying the landscape properly can save a lot of hurt and misunderstanding. Through surveying the landscape the new leader to determine the pecking order within the team. The pecking order is a very important part of the team. By understanding the pecking order the new leader can determine their position within the organization and team. Surveying will also help the new leader determine the way the pecking order has been established. If the pecking order is determined by length of service the new leader is going to have a harder time than if the pecking order is determined by contributions to the team and organization. Pecking orders that are determined by length of service are tough because no matter how the new leader contributes he or she will be low man on the totem pole until the old team members have moved on. The best thing for a new leader to in a length of service pecking order situation is to come alongside those higher in the pecking order. If the pecking order is determined by contributions to the team than the new leader has a better chance of breaking into the pecking order. Either way understanding the position that has been afforded to the new leader is vital to their future success. The whole reason the new leader was brought into the organization was to fulfill a purpose. Now that the new leader has determined position, air space, and pecking orders he or she must get busy accomplishing the purpose set before them. If a clear and concise set of goal, responsibilities, and a purpose has been set before the new leader he or she should begin right away building their team within the organization. No purpose can be fulfilled without first building a team within the organization to ensure the purpose is fulfilled. The new leader has been given a mandate and now he or she must determine the who, what, how, and why. Many times the new leader follows an older team member who was not getting the purpose done and therefore they either moved themselves on or they were moved on. Just because there was someone before the new leader does not mean he or she should use the people and resources there alone. He or she must begin to build their team. If those who served on the team of the leader before want to stay onboard and align themselves with the passion, vision, and purpose of the new leader then let it be so. If there are those who wish to do it the former way they must be moved on in order to move forward. If the new leader is breaking into new territory and blazing new trails he or she must gather a group of trailblazers. No matter if the task has been done before or if it is has never been done the head leader has called upon the new leader to get the job done. Communication is so vital when anyone is joining a team. When a new leader joins a new team he or she must get his or her directives straight from the top. If there is no clear purpose given by the head leader the new leader should ask questions. In order for the new leader to understand his or her purpose he or she must have a clear and concise set of expectations and responsibilities. Open And honest communication with the head leader is of the utmost importance. If a new leader does not understand his or her purpose they can not fulfill it. There is an old saying is says, “If you fail to plan, you plan to fail.” Failure to get a clear and concise purpose from the top will result in heavy stress and possible failure.When a clear and concise purpose is set before the new leader he or she can then set his or her heart on fulfilling the purpose and will have clear understanding. Understanding the position held within the team and organization will also help the new leader become an accepted part of the team and organization. Unfortunately, this author has made his share of mistakes concerning position. I was brought into an organization to lead the team whose main purpose was to educate elementary aged children. As soon as I arrived I started making comments concerning the condition of other departments within the team universal and organization as a whole. This was not the most intelligent thing to do for a young man or a new leader. You see there was a pecking order and I was at the bottom.As a new leader and fresh blood rather than focus solely on my mammoth task I decided to put my two cents worth where it was not needed or invited. I caused so much trouble for myself simply because I did not understand my position and purpose. I was not there to fix the overall organization. I was not there to govern other departments. I was not there to give opinions. I was invited by the head leader to come and lead the department whose main purpose was to educate elementary aged children. Even though I felt excellence had been thrown out the window and our organization was struggling to stay afloat I should have kept the main thing the main thing and committed myself to make my department the best it could be. After a few months of minding other’s business I finally caught on and began to mind my own business. I have to tell you it was the best thing that I could have done. I had enough challenges taking over for a seventy plus year old man who served in my position 18 years. The programs, materials, and overall department was in bad shape. When I focused on my purpose and stayed in my position I was able to bring the department to a new level. I was able to grow my leadership team and invest in my people. I grasped the pecking order concept and life became a lot easier when I realized I was not the savior of our organization I was just a team member called in to fulfill a purpose. I learned my lesson well and things went extremely smoother from that point forward. I am just getting home from a wonderful vacation with my family. It was my first vacation since planting City on a Hill Church 61 weeks ago. It was very tough to be away from the church but it is necessary. After all it is Jesus’ church. While away I prayed over City on a Hill Church with passion as I have since before she came into existence. My white hot passion to build, become, and be a city within a city reaching our city with the life changing message of Jesus Christ still burns like fire shut up in my bones. My desire to preach the Gospel and live the Gospel in this city still inspires me daily to stay close to my God, my Savior and my King. I call my people [God’s people ultimately, however He has appointed me as shepherd according to Ezk. 34:23-24] by name. I thankfully and willingly accept my divine calling and I live it out by the grace of God in every area of my life. I can’t help but to be passionately devoted to these precious people God has called me to. I want God’s best in their lives. I am totally devastated when I see one of them losing there passion and focus and wandering off into dangerous terrain. As I type I can think of seven or eight that I call out to God for daily hoping to see them return home. I know how Jesus felt and I feel what Jesus felt when he said how often I have wanted to gather you like a mother hen gathers her chicks but you wouldn’t let me. Sometimes I think it is more than I can bear as I watch them make poor life choices and wander farther and farther away from a loving God. It is a cross that I bear and I will not give up on them! I know what is at stake. On my trip I had ample time for personal reflection, journaling, prayer and devotion. I asked the Lord what He was saying to me or what He wanted to say to me. I heard Him say, “Close the book and put down the journal. My people perish for lack of wisdom.” I couldn’t shake that one sentence, “My people perish for lack of wisdom.” I prayed, stared, and pondered this thought a bit more. During that time I realized just what was being said to me. We live in a Church saturated Gospel starved world. My job is to bring the truth of God’s Word to my people. If people don’t know God how can they worship Him? If people don’t know and understand the Gospel how can it keep them? If people don’t know and understand the sovereignty of God, the grace of God, the mercy of God, the Holiness of God, how can they live it? Wisdom is different than knowledge. Wisdom is applied knowledge. We can not be just hearers of the Word we must be hearers and doers of the Word. I thought of some of those precious people out there wandering and my heart just broke. I have watched as the cares of this life try to strangle out God’s Word in their lives. I have watched as the lure of “good times” have uprooted their faith and left them hopeless and helpless. I reach out but they don’t respond. I see them and they look right through me. On more than one occasion I have thought St. Petersburg, St. Petersburg how often I have wanted to gather you to Jesus like a mother hen gathers her chicks but you wouldn’t let me. I thought City on a Hill, City on a Hill how often I have wanted to gather you to Jesus like a mother hen gathers her chicks but you wouldn’t let me. Even now my heart grows sad as I think of some who have walked out into the outer edge of darkness and can not see the light anymore [2 Cor. 4:4]. One thing is for sure I will not quit and I will not give up. 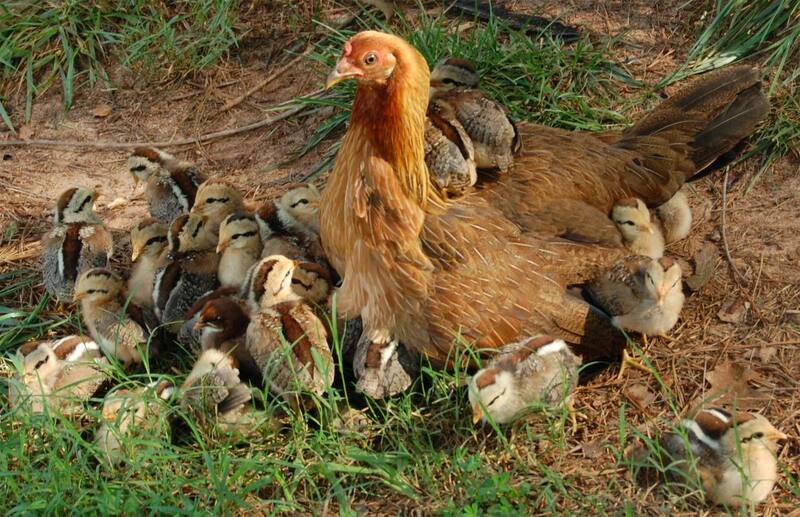 I will keep trying to gather them to Jesus just like a mother hen gathers her chicks. I just had to get this out there today in hopes that one or two might read this blog and come home. In hopes that others who read this blog won’t give up and will venture out with me into the darkness to bring them home. I won’t stop until every person in St. Petersburg has had a chance to accept or reject Jesus. I won’t stop until the last of the lost are found, the last of the wanderers are safely home, until everyone who calls themselves a Christian is a disciple making disciple, and until missionaries are sent into every corner of this city, region, and globe. Until then I will carry the burden of the heavy heart of a shepherd not willing to see one wander off. I will preach like Heaven and Hell exist, because they do. I will preach like everyone doesn’t go to heaven because they don’t without Jesus. I will preach like it is all about Jesus, it has always been about Jesus, and it will always be about Jesus, because it is! I planted City on a Hill Church to be a church that is for the city. A city for God among the city of men. A church that relentlessly pursues the lost and wanderer. A church that produces disciple making disciples. A church that sends missionaries. A church that won’t give up or give in even when the going gets tough. A church that will exalt Jesus and preach the Gospelunapologetically. For now this shepherd stands guard over the flock that has been entrusted to him by God. While watching over this flock his eyes scan the horizon in hopes to see the lost and the wanderer find their way back home. 1 Samuel 7:15 (MSG) Samuel gave solid leadership to Israel his entire life. Every year he went on a circuit from Bethel to Gilgal to Mizpah. He gave leadership to Israel in each of these places. But always he would return to Ramah, where he lived, and preside from there. That is where he built an altar to God. Establishing air space is a top priority for the new leader. The boundaries for his or her wing span must be set. Carving out air space is one thing establishing that air space is a greater challenge. The new leader must set out to put his or her heart and soul into establishing the air space by effective and open communication with the other leaders within the organization. The new team member must also remember that air space is a high priority and other eagles are always looking to expand their air space even beyond their wing span. Expanding one’s air space even beyond the wing span and maintaining that air space are two different things. There is an old principle at work concerning this matter the, “Use or Lose” principle. If a new leader does not use the air space he or she has carved out by establishing purpose for that air space and results that qualify the use of the said air space he or she will lose it to another leader who can and will establish it. The establishing of air space begins in the new leaders team and extends out to the organization. The more influence and result based response the new leader gets in his or her team will increase the influence and air space he or she possesses in the organization. The new leader establishes air space by creating and leading a successful team. His or her leaders must trust that he or she has their best interests at heart. He or she find other leaders within his or her team to share air space with thus creating the need for additional air space. Once the new leader has established their air space they should begin looking to recruit new leaders. The boundaries for newly gained air space must be set. A new leader must be careful not to carve out more air space than they can establish. You have heard the saying, “My eyes were bigger than my belly”, haven’t you? The same principle applies to the new leaders and his or her air space. Open communication with the other leaders in the organization on intended use of this newly carved out air space is vital to establishing it. A new team member should not just seek more air space just to have a n equal or bigger share, he or she should seek mire air space to use it to better his or her team and organization. Open and honest communication can come through individual meetings, team meetings, memos, phone calls, cards, any means by which the new leader wishes to use to communicate his or her passion and vision for the newly acquired air space and how it will benefit the organization including individual the leaders within it. The head leader, team members, and the new leader’s team must buy in to the vision the new leader wishes to communicate. An important point for the new leader to keep in mind is that other leaders are always looking to expand their air space and spread their wings beyond their wing span. The head leader must have also seen something in them to choose them as a part of the leadership of the organization. 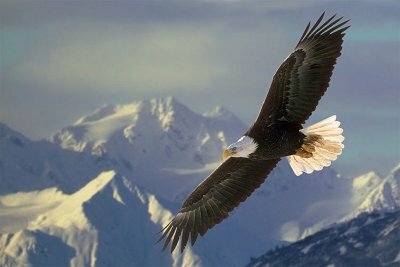 While it is vital that all leaders within the organization seek to follow the vision of the head leader they are also seeking to establish their air space with a vision that coincides with the purpose and vision of the head eagle. It is natural for a passionate leader to seek to expand his or her air space and to stretch themselves beyond their wing span. Seeking to grow is always a good thing. The establishment of air space through effective communication of vision and passion is significant to the life of the leader. Expanding one’s air space even beyond the wing span is one thing. Maintaining and establishing that air space is a whole new challenge. If the new leader does not use the air space he or she has worked so hard to carve out it will surely be lost.Establishing a purpose and vision for the air space carved out and showing positive results that qualify the use of that air space are vital to the maintaining of the said air space. The “Use or Lose” principle applies universally. If a leader does not use the resources, people, and space given within his own team or the organization he or she will lose it. 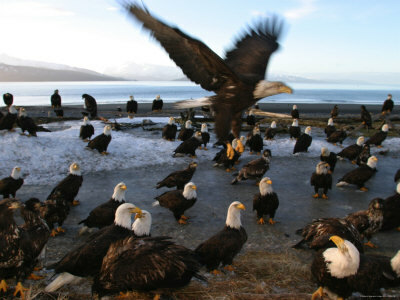 If the head leader does not use the leaders he or she has been given it is sure that they will go where they feel they are being used to their full potential.The establishment of air space through effective communication of a vision will ensure that the new leaders can and will expand his or her air space even beyond their wing span. In order for the new leader to establish air space within the organization he or she must first seek to establish the air space within his or her own team. The influence and result based response he or she gains within their own team the greater case for establishment within the organization. 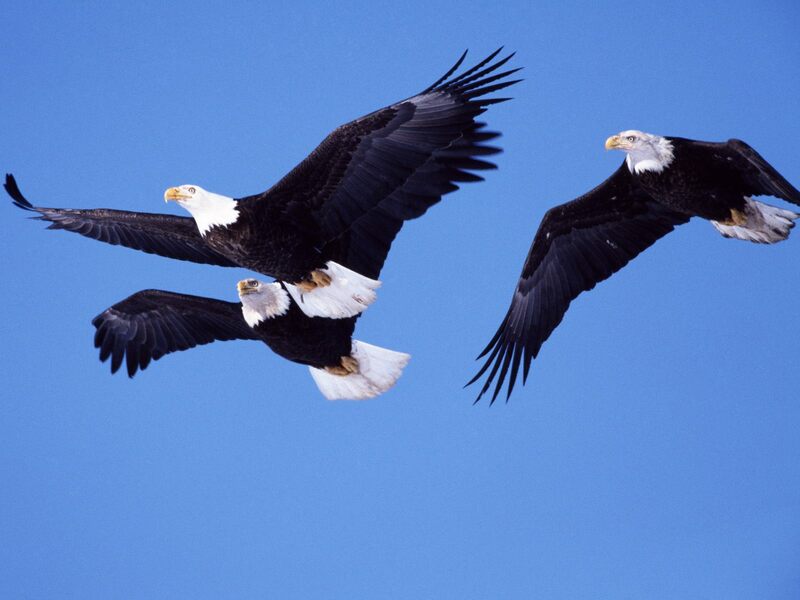 People are looking for leader or “eagles” to help them soar. When a new leader comes in and makes changes that benefit the team, the team gets behind them. One of the greatest ways for a new leader to establish air space or “leadership” within his or her team is to invest in the people on the team. Create newsletters, bring in guest speakers, take them to seminars, hand out books, anything that a new leader can put into the hands of their team members to make themselves better establishes the air space for that leader and creates a case for allotting air space within the organization. The members of the team must believe that the new leader has their best interests at heart. A new leader must always be on the look out for new leaders from within his own team. Looking for a successor is a wise thing to do. Sharing the air space with the new leaders of their own team will show the organization that the new leader has their best interests at heart as well. How can a new leader expect the other leaders to share their air space if he or she will not share theirs? By sharing air space with new leaders within the new leader’s team they create a need for additional air space in the organization. Building relationships with the new leaders within the new leader’s own team helps to establish the air space within the team by instilling the vision and passion within the new leaders and they in turn cast the vision to the team and their sub-teams. Growth is a very important part of the life of all leaders. If one is not growing, they are not living. Once the air space has been established both within the team and the organization the next natural step is to look to expand by recruiting new leaders.Expanding air space to create room for new leaders and personal growth is a challenging task, however, it can be done. Casting and recasting the vision that the new leader has received is vital to the expansion. The first step is establishing the air space. Do not make the mistake of trying to expand before the current air space has been established or one could lose the current air space and have to start over by carving out new air space. The vision empowers to leader to empower his or her team. The vision empowers the leader to empower his or her team. When I was in college we had a special guest come to one of our leadership classes. He communicated the importance of having a vision and direction for the team you are leading. He told us of the value of vision. He informed us that through communicating vision we could extend invitations for others serve . People are looking to make their lives count. People are looking to make a difference. When I took my first leadership position I had already established a vision and mission so that as I began to recruit individuals to join my team they would know the who, what, where, and why. It was amazing to see how many people were willing to serve when they know what you are all about And where you are going. I kept my vision and mission before the people, the team, and the organization. The awesome thing about vision is when one begins to see it grow and expand even further than could have been imagined. The vision that was established opened to doors to begin a summer youth basketball league, large community events for families, a taekwondo school, and feeding program in the community. As the organization’s influence expanded it demanded new leaders and manpower. If I would not have used the air space I had carved out and the people and resources that came along with the expansion I would have lost them all. Just as I sought to expand my air space through vision and mission other leaders within the organizations and other organizations sought to do the same thing. I had to get additional training for myself and I had an obligation to give my leaders the same training opportunities. Building and growing my people was a fundamental part of the expansion’s success. If I would have neglected to recruit and build new leader from within the flock I surely would have failed. If I would have sold myself short by not seeking personal growth I could have never accomplished the vision and mission I had created. Growing my people was just as important as establishing my air space. Without the people to occupy the air space it just gets lost to other teams and leaders who will use both the people and resources. This is a comment I will never forget by one of the wives of a board member during a summer basketball game. “ The things you are doing are what keep this organization alive.” I knew I had established my air space.